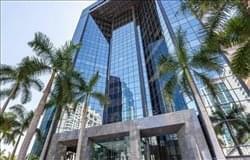 Find My Workspace lists over 95% of the executive office suites market in Miami. Simply click Request Quote to check pricing for one office, or Add to Basket for multiple offices. This center is a collision point for Miami’s forward-thinking minds. 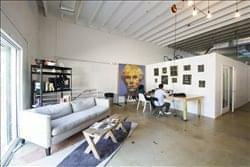 Emerging as one of the first co-working spaces in the vibrant Wynwood Arts District, this space strives to build innovation in an evolving community. In 2012, the founding members of the space teamed up with the Knight Foundation and a group of angel investors to convert a 10,000 square foot warehouse into a shared office space and event venue. The center is a creative campus housing a fast growing community of entrepreneurs, start-ups, nonprofits and independent professionals. Of the 130+ companies already present, the space’s members range from freelancers, early-stage startups and nonprofits to corporations. By supporting creative, tech, and social enterprises, as a community, this center will be able to transform Miami into a premier startup hub. Progress occurs when motivated & determined individuals collide & create new ideas. Entrepreneurs, startups and organizations need an open and inspiring place to gather, experiment, and foster connections that they otherwise wouldn’t have found. Members come from a wide range of disciplines and share a common desire to drive innovation. 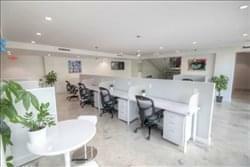 The entire fourth floor of one of the most luxurious building in Downtown Miami is home to this business center, providing a turn-key, cost-effective solution for your office needs. An impressive building and location, a full array of included amenities, exquisitely furnished, state-of the-art technology and impeccable service. Redefining the concept of shared workspace, this phenomenal and highly prestigious workspace provider is not only one of the region’s foremost and most premium corporate venues, but a real innovator in relation to the way that professional tenants and commercial occupants are able to operate business procedure and day-to-day working requirements. With a multitude of high end and technologically innovative facilities and professional services available on site as standard for all occupying tenants, this business center is the ideal working environment for corporate clients of any industry or background. 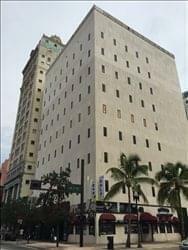 This building is a skyscraper in Miami, Florida, located in the northeastern Downtown. The property offers exceptional amenities for residents and commercial inquiries. This space not only offers a private office/showroom but gives tenants access to the entire floor. It offers, conference rooms, juice lab kitchen, access to the floor 24/7, cleaning, all utilities included & more. This centre is located on the 4th floor and offers flex space, showrooms and offices for any industry. Come together to work and network, meet up with partners and exchange ideas. Be a part of the network and have a presence in Miami. This space contains new co-working space with Private offices and Dedicated Desk space in a beautiful open plan office. 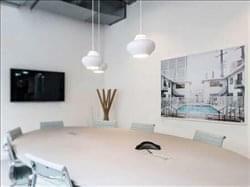 All offices come furnished and all have water, Brickell and city views. Dedicated desks are modern, spacious. Knoll, Steel case and local brands furniture and accents. All inclusive packages with 24/7 access, meeting room, printing, copy, fax and scanning and your favorite cup of joe! Just bring your laptop and the center will provide the rest. Brickell Avenue, Miami - Brickell Ave. This stunning and high quality executive office center located in Brickell Avenue is an ideal setting for any corporate tenant in search of first class workspace solution packages that offer a vibrant and creative commercial hub serving as the perfect working environment. The site features a professional and impressive reception area to share, which also offers mail handling and administrative services and telephone answering assistance. The office suites can be rented furnished or unfurnished and the building features a cafeteria, a bank, an ATM, FEDEX and UPS boxes on premises, plenty of parking for clients, 24/7 access and security. Included is internet, coffee, water, mail management and cleaning. With easy access to I95 and the Turnpike this is the location that will best service your needs for both Dade and Broward County. 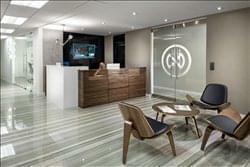 Newly renovated office space with modern touches are sure to impress your clients. All conference rooms & offices come fully furnished with top of the line services. On-site, full time, bilingual and professional receptionist Monday through Friday to greet your clients and offer them coffee. Shared access with multiple locations across South Florida. This center offers flexible office options from just a mailbox to team offices for 8-10 members. Members can upgrade to the services they need as their business grows. All onsite services include: month to month agreements – no security deposits, high-speed fiber internet connection , access to printer/copier/scanner/fax and meeting rooms. There is a kitchen with refrigerator and microwave and the center is in close proximity to Miami’s Metrorail, Metromover, and Trolley Routes. It also has access to free or discounted events. Visrtual Office also available from $29 to $79 a month. An impressive business centre situated in Miami Central Station, providing furnished office-spaces available to let on flexible terms. Tenants here can make use of the high-speed internet, break-out areas, reception service and meeting rooms. All work-spaces benefit from plenty of natural light throughout the day as well, increasing productivity levels and creating a serene working environment. Additionally, the centre is accessible 24-hours a day which enables tenants to tailor working hours to suit individual business requirements. Copy and printing facilities, telephone answering and fresh beverages are also available at this prestigious business address. This 12,000 sq. ft. facility includes office space, exhibition space, a 1,500 sq. ft. rehearsal studio/classroom space and a fully equipped 200-seat flexible theater space. The center is based in the middle of the Wynwood Arts District. The centre is available to rent for small workstations, closed office spaces and conference meetings. New modern private suites are available as part of this part of this center, with ground level access for maximum exposure. Tenants benefit from 24/7 secure access and amenities such as usage of a prime Downtown Miami address for your business and receptionist services including telephone answering with your company’s name. The center is fitted out with ultra high-speed Wi-Fi Internet connection and even faster Ethernet connection with delicious complimentary gourmet coffee and tea provided. There is also five hours of conference room hire included in the price. Offering a refreshing alternative to the common and dated ‘shared office’ concept this center mixes a sophisticated corporate style with modern ideas and the right amount of ‘wow factor’ to achieve the perfect blend of form and function, to enhance your business. The location, stylish design, and aggressively competitive pricing, combined with the quality customer service, makes this workspace the smart choice that works for you. The provide fully furnished and serviced office space with fiber Wi-Fi Internet, access to all services and amenities, no matter if you stay with them for two hours, or two years. There are also virtual office solutions that provide you with a prestigious downtown Miami business address, complete mailing services, call handling and receptionist services and on-demand conference room and office space. 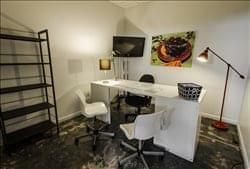 Furthermore, they offer shared desk stations with use of all amenities & services included (includes assorted beverages), discounted conference room rates for the odd time when you need to brainstorm with clients or your workgroup members available by the day, or at discount rates per week/month. Finally, at this downtown location there are two nicely designed conference rooms, to better accommodate to your needs when it comes to business meetings, conferences, interviews, webinars, etc. Both rooms are available by the hour at a very affordable rate, and include all services for your meetings. This center is an independent office with parking in renovated building that was refurbished in 2017. The space is comfortable with excellent services on-site and all workstations are placed so that they are overlooking the natural views, with air conditioning and completely furnished. Located in one of the best areas of Miami, near public transport and motorway. This center not only provides you with a turn-key office space where your creativity can thrive, but takes the idea of shared office space a step further by providing solutions & resources that promote rapid growth and accelerates the progress of your business goals. Accessible 24-hours a day, this center is always ready, and there are a range of on-site amenities, including; reception services, an on-site management team, break-out and lounge space, printing and copying facilities, videoconferencing, meeting rooms, access to a kitchen, office cleaning, IT support and conference facilities. The center offers secure on-site parking and an on-site restaurant, and the offices spaces are available on flexible terms to suit your business needs. To obtain information for your selected Miami Executive Office Suites, please tick the "Add to basket" box for each office you prefer and complete the form below. We will then send a detailed report via email.